Dr. Brian McGuinness is a board certified ophthalmologist who trained at New York Eye and Ear Infirmary, completed his undergraduate studies at Stanford University and attended Medical School at SUNY Buffalo. Dr. McGuinness has been performing LASIK surgery since its approval by the FDA in 1996. 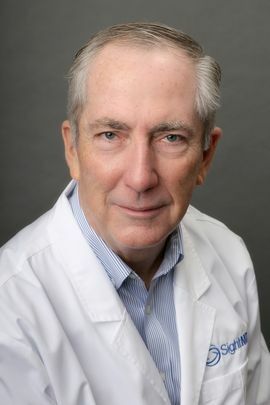 Dr. McGuinness is on staff at Stony Brook University Hospital and New York Eye and Ear Infirmary in New York City. The staff at Brookhaven Eye Surgery includes professionally-trained ophthalmic technicians and a friendly team to help our patients with all of their eye care needs.